← Poor KDE Performance – Balooctl Disable! I have been cleaning up and resurrecting a beast of a computer. Its a dual Xeon 3.16GHz, with 8GB of RAM. Its not that high spec compared with today’s hardware. 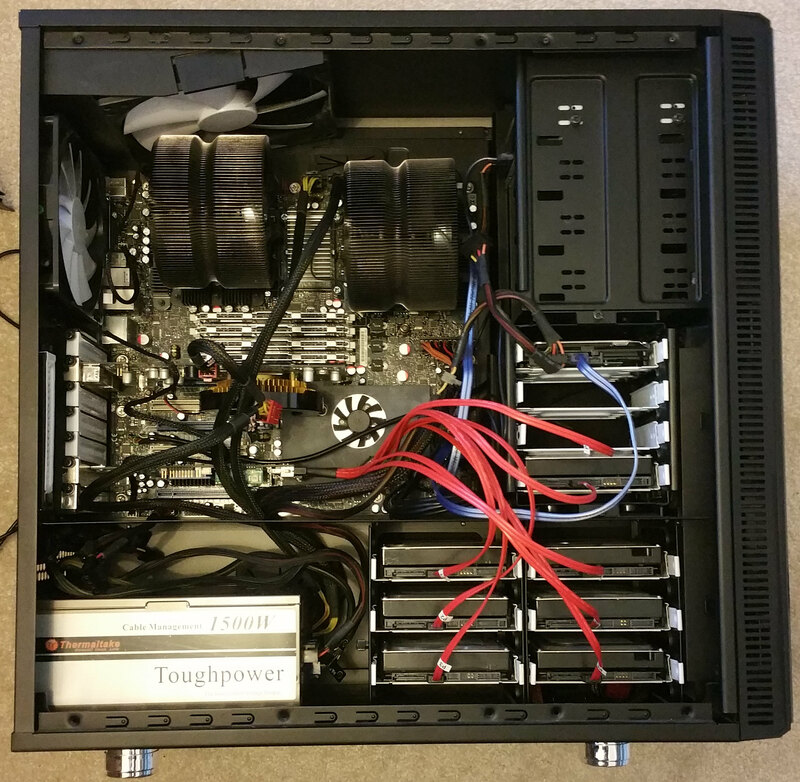 Has a fairly average GPU and a RAID card with currently 7x 500GB HDs, and 1TB system disk. I think I will get it going. Maybe find a use for it. Perhaps as web scraper or something. That or I could sell it. Gonna have to get a HD off eBay to make up the 8, that and find the Sata PSU cables! This entry was posted in Hardware, Linux Tips, Technology. Bookmark the permalink.